Even La Palma we have bad weather sometimes. Usually it’s in winter when a big depression rolls in from the Atlantic, bringing wind and rain for a day or two. 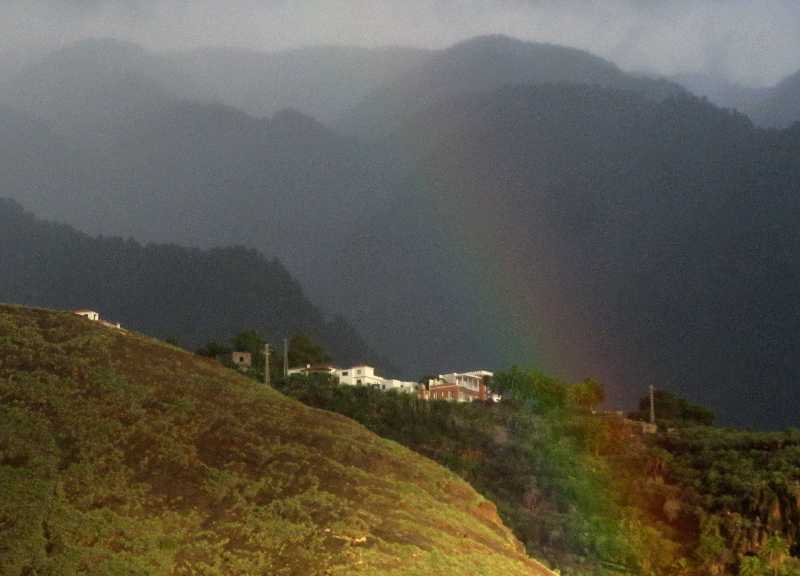 I’m philosophical about it: you can’t have the rainbbows and lush forests I love so much without rain sometimes. But it is a pity for holiday makers, especially when they come here to escape the cold. 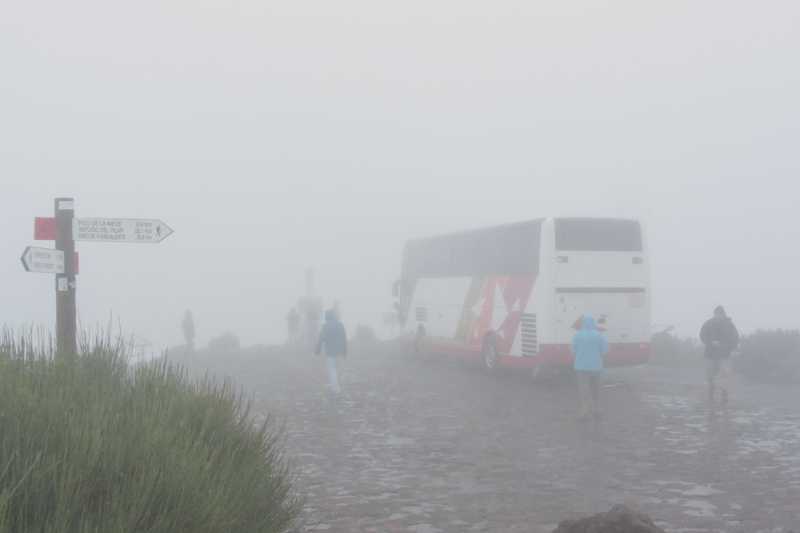 Yesterday La Palma had a storm,and I had a cruise ship excursion to the Roque de Los Muchachos. The first half of the excursion was OK, if a bit cloudy, then a bit wet, but I was worried about the actual Roque. Bad weather is always a lot worse up there, and ocassionally there are rockfalls which block the road; not fun in a car, but there aren’t many places you can turn a full sized bus around. So I phoned the observatory, who said that both roads were open, but the weather was awful and you couldn’t see a thing. So I explained the situation to the customers, and asked if they’d rather see the north east of the island. I mentioned some places we could go. Nope. 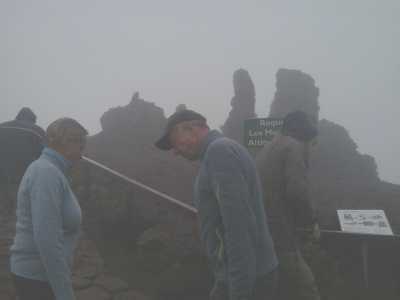 This tour was sold on the basis of the Roque, and they wanted to see the Roque. Fair enough. Not what I’d have chosen, but they were the ones paying. So of course we went up. On a clear day at the Roque de Los Muchachos, you can see 143 km to the observatory on Teide. On a clear, moonless night you can see two million light years, to the Andromeda galaxy. Yesterday you could see about 10 yards. Which left me trying to make rain and fog interesting for about three hours. I’m sure you did manage to make it interesting – but I’m glad we had better weather.